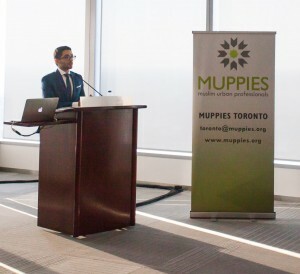 Muppies Toronto recently held an event focusing on moving up the corporate ladder, at KPMG offices in Toronto’s Bay-Adelaide complex, with more than 150 young professionals in attendance. 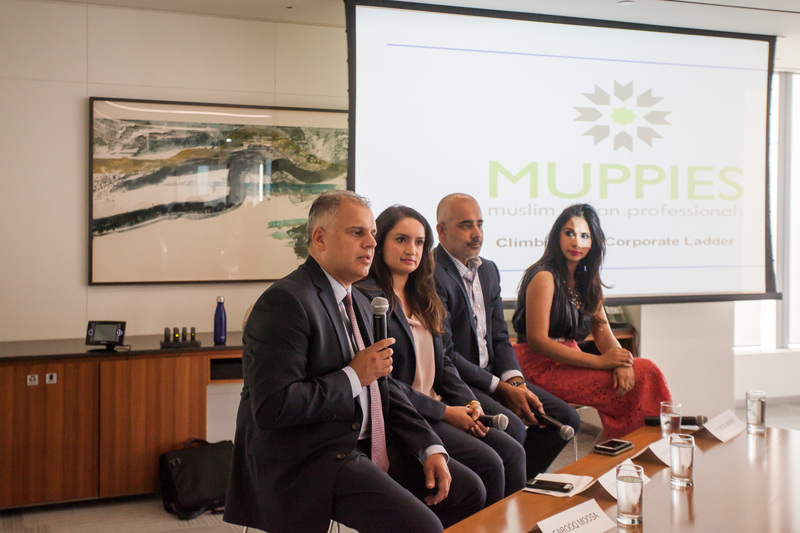 The event, called “How to Climb the Corporate Ladder,” brought together four esteemed panelists from the fields of law, management consulting and finance. Determine what works for you and your personal circumstances by considering your personal work/life balance, potential travel, and earnings, and stay true to what you believe in. For example, Muneeza knew at a young age that she wanted to be a lawyer. 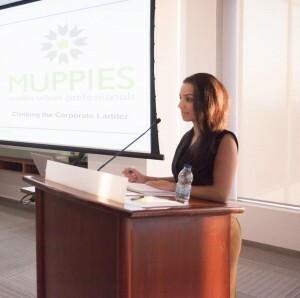 She had a straight career path in Law, from school directly to a successful career at a big law firm on Bay Street. After gaining solid work experience there, she switched to a boutique firm where the culture resonates with her personality. Both Farooq and Farah recommend focusing on what you are most passionate about. Regardless of where you work, you will be spending most of your waking hours there (possibly sleeping there as well! ), so it should be somewhere you want to be. In this day and age, you will likely live and breathe the industry you are working in, so ensure there is the passion and drive behind your career choices. Hussain noted that passion is a dynamic emotion; some ways to adapt to passion evolution is by changing careers, going to school, or acquiring a new skill. In consulting, Farah faced the challenge of being presented as an “expert” to clients, even when she was just recently placed on a project. Her advice was to get up to speed quickly to ensure success, ask questions, identify the key influencers and decision makers, and don’t waste time or wallow in Imposter Syndrome. Unlike what many millennials think, networking does not necessarily mean growing your LinkedIn presence with hundreds of cold connections, but rather fostering quality relationships. 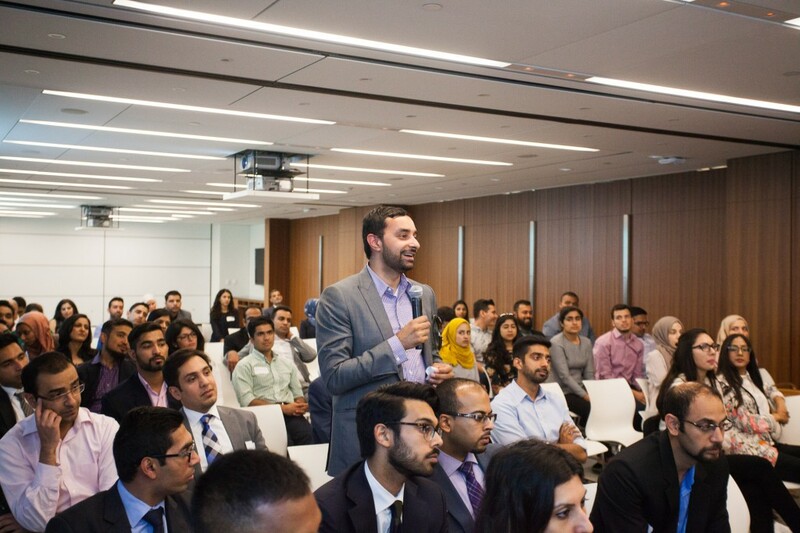 To Hussein, networking is establishing “meaningful” relationships, built on mutual interests. Networking should not be confused with mentorship. Mentorship is a good way to learn the ropes, and bounce ideas off of someone. Farooq says that a mentor is not necessarily a person you wish to become, but rather someone whose qualities you can learn from. A mentor will help with character development, so seek out mentors who have qualities that you desire. Depending on your field, it may be difficult for practicing Muslims to socialize outside of work hours, where people tend to focus on alcohol-related activities. Do not let this deter you! Hussein is confident that you don’t need to drink to form a connection with colleagues. Muneeza says that she simply cannot schmooze at the bar after work, as a Muslim woman and a mother, and she has learned to feel comfortable saying “no.” This might mean that you need to work even harder and let your work quality and ethic shine in such a way that you will still be noticed at work. If you do have the chance to socialize outside of work hours, Farooq’s advice is to build a connection with people who are different from you. Learn to connect; don’t focus on your differences, focus on what you have in common. When it comes to work/life balance, Muneeza encourages everyone to speak up and be proactive, rather than waiting for others to advocate on your behalf. Nobody else will step in to selflessly consider your feelings and personal circumstances. This applies to conversations about compensation as well: ask confidently for what you want, and come to the table with numbers and hard evidence to help you negotiate. We received plenty more nuggets of advice, and thanked our panelists with personal copies of the book Compelling People: The Hidden Qualities That Make Us Influential (by John Neffinger and Matthew Kohut), which is required reading at Harvard Business School.